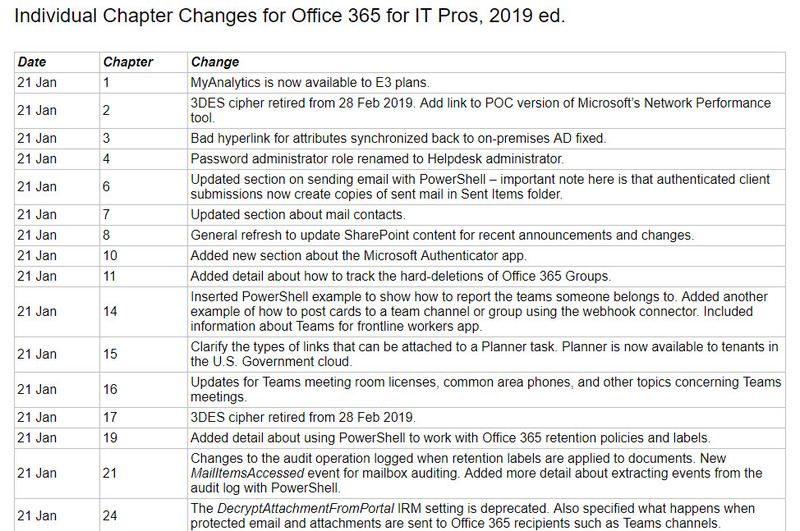 Update #11 for the Office 365 for IT Pros eBook is now available. 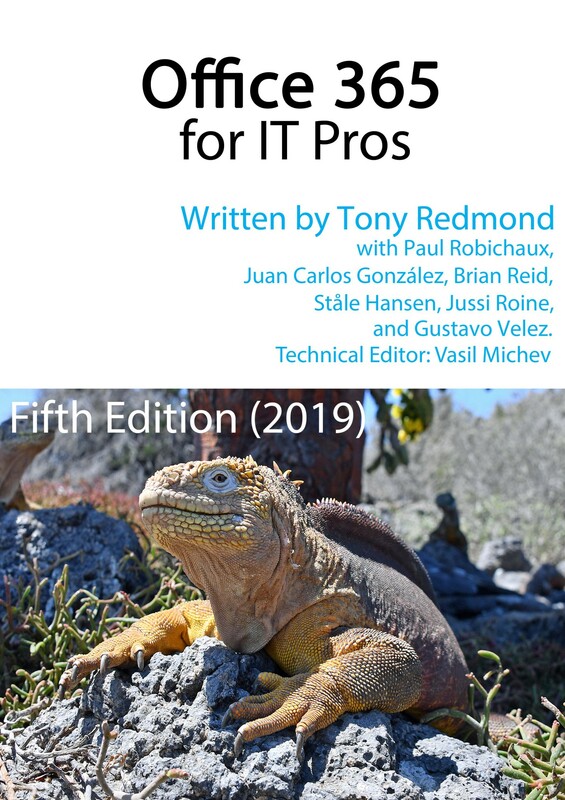 Subscribers can download updated files from Gumroad or Amazon Kindle (depending on which version you bought) and benefit from the 16 updated chapters. 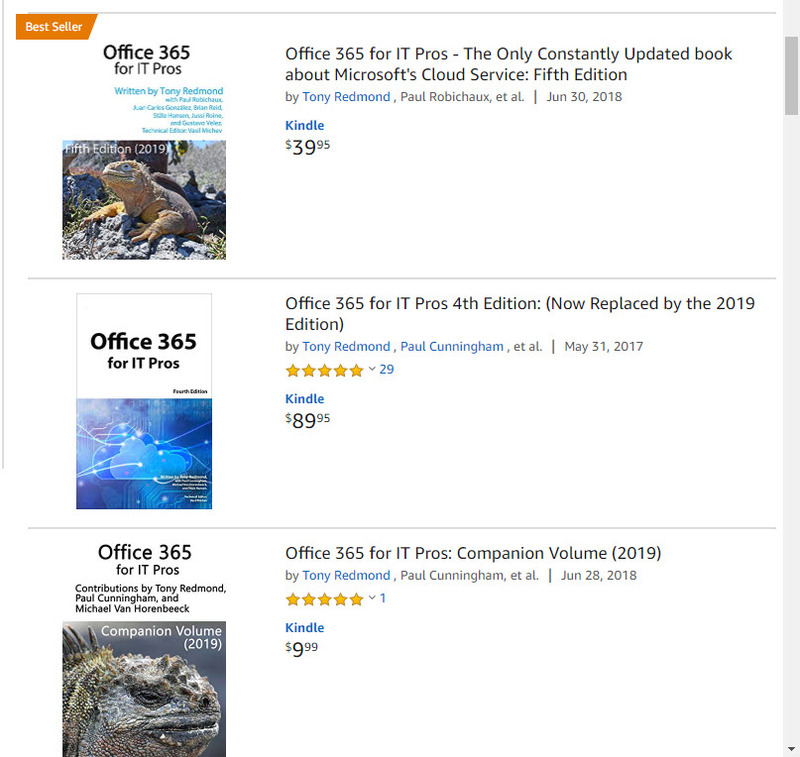 ePublishing is the only way to keep up with the volume of changes in Office 365, and Office 365 for IT Pros is the only book that keeps up. But you know that anyway because you’re reading this site! We all make mistakes – it’s part of life. But it’s sad that so many web sites and blogs pick up and repeat mistakes found in press releases and other material. 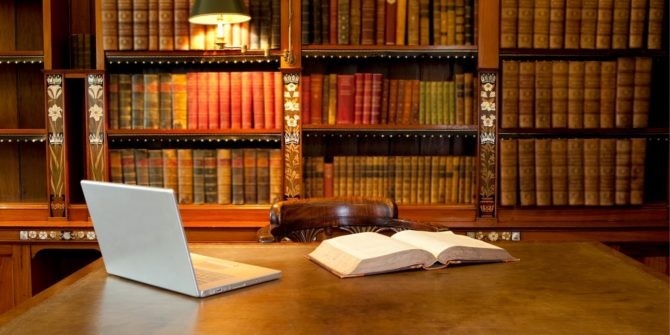 Life would be better if we had more time to consider what we publish, but the speed of the cloud sometimes makes time hard to find.